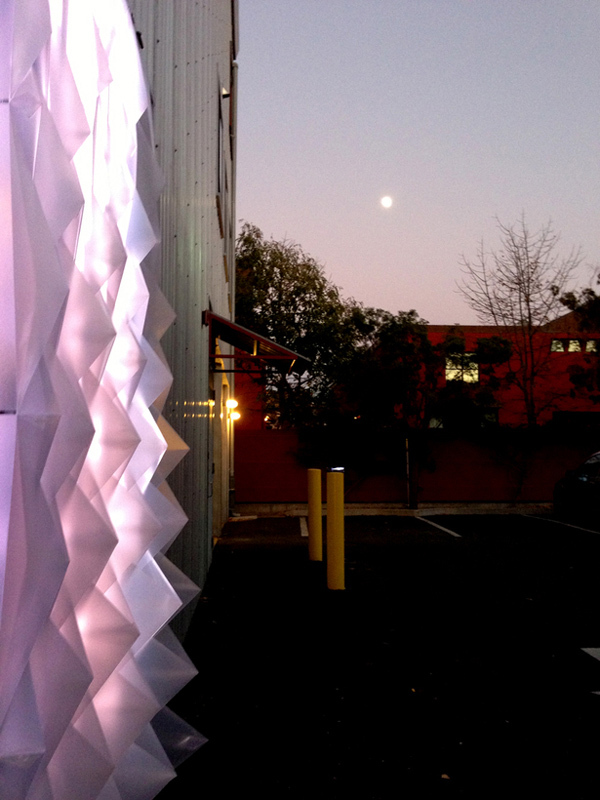 This translucent façade was designed by Mahsa Vanaki Studio for an open studio event for Berkeley-based, contemporary lighting studio Looma. The geometric solution was designed to be attached to the building structure during events, but then stored when not in use. The removability was a result of conformity regulations for the whole building complex. 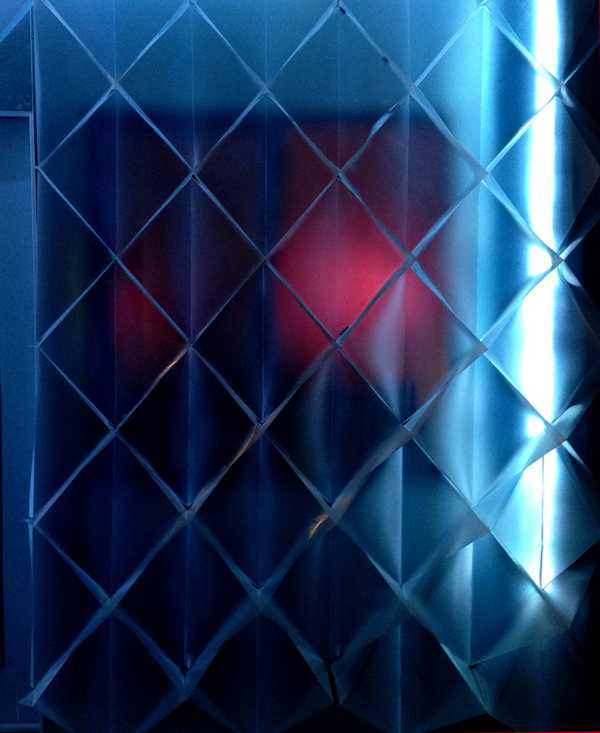 The solution was designed in collaboration with Looma designer, Romy Randev, who created the color changing LED’s that interacted with the light wall. The geometry was developed in Grasshopper, Lunchbox and Weaverbird for Rhino. 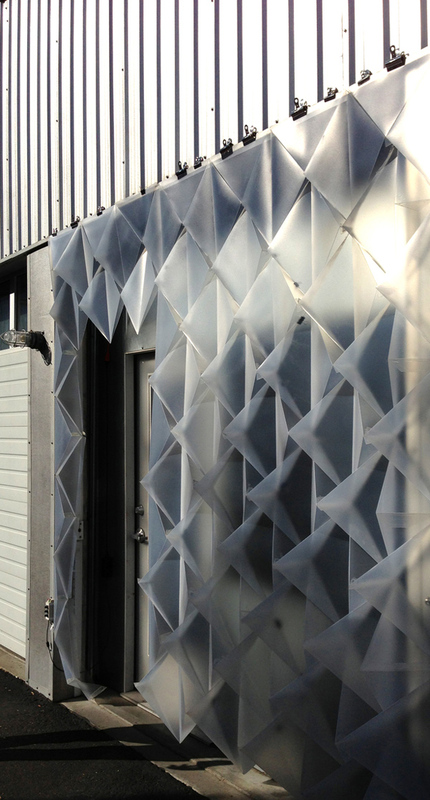 Using parametric design and digital fabrication tools allowed for the creation of a sculptural surface with exciting new geometries to attract visitors during the open studio hours. The combination of the semi-translucent material and lighting reflect the brand personality, which is modern and original, and accentuates the offerings of handmade glass and interactive lights.